I just can’t stay away from drinks, can I? I was just raving about mulled wine, and here I am now with a cocktail. They’re both good choices, just work better at different occasions. 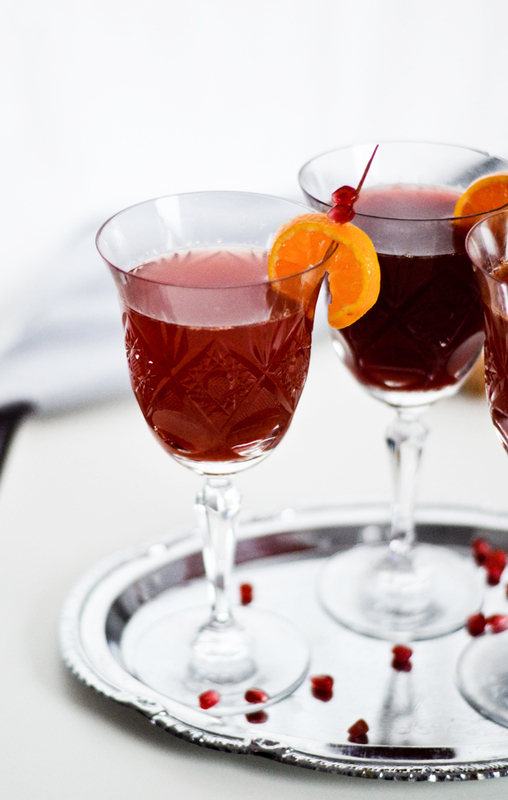 Imagine drinking mulled wine after you finish building a snowman and you’re completely freezing, and then imagine drinking this sparkly clementine pomegranate cocktail after dinner with friends, chatting away into the night. Pretty sweet, right? My occasion is a tiny bit different, but it still calls for a cocktail. You see my birthday is next week. As usual I don’t have anything big planned. I just want to spend the day relaxing, be wined and dined and just really enjoy it. No stress, no worries. I might even sing and dance a little. A cocktail will definitely help with that! Mid twenties feel different though. I don’t know why, but I feel different than I did the previous years. I actually feel older this time around, whereas for the last few years I felt the same all the time without any care for the actual number. Or maybe I’m just nervous because the day is almost here. But whatever the reason is, a birthday still calls for a toast. 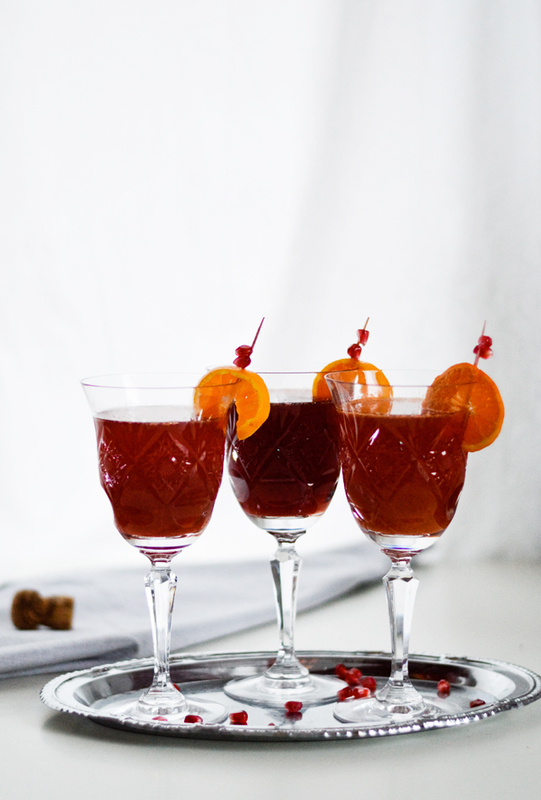 These days I’ve been in the mood for something sweet and red, something that screams December and I think this sparkly clementine pomegranate cocktail really hits the spot. Clementines are one of the best things Winter has to offer. I patiently wait for them every year and then go in full “clementine mode” every December and buy them in kilos. They’re pretty cheap too and so not getting any would really be a crime. I love to just nibble on them throughout the day. Plus they make the whole room smell amazing. When I was little, I used to put some of the peel on the radiator in my room and let it dry there, that’s how much I love the smell. Pomegranate is another wonderful fruit in season right now and is absolutely amazing mixed in yogurt or cereal. 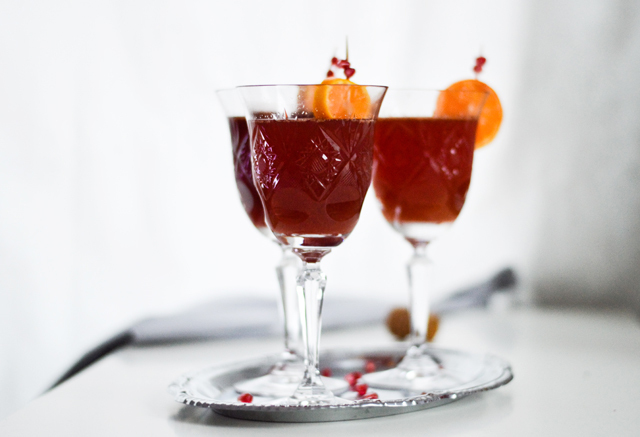 And both clementines and pomegranate juice work beautifully in a cocktail. 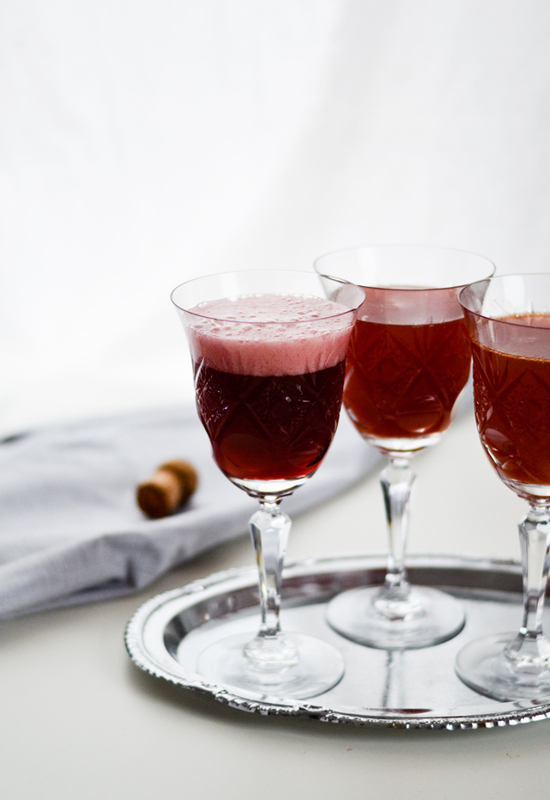 As they are both quite fresh, a splash of blackcurrant cordial makes all the difference, adds sweetness and that dark beautiful color. Just what I look for in a festive drink. 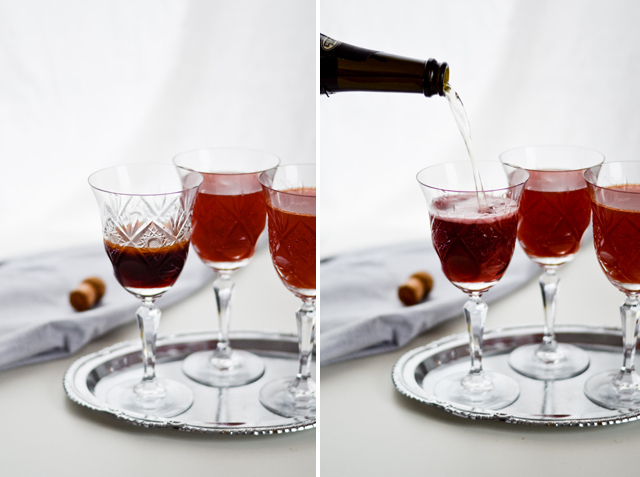 Besides Prosecco, this cocktail can be made with any other sparkling white dry wine. Champagne would work too. If you want a non alcoholic drink use mineral water (or seltzer or club soda) instead. A fruity cocktail, great for the holidays! Divide the juices and cordial equally between the 4 glasses. Garnish the glasses (optional) and serve. The amounts used are all approximate and you should adjust them to your taste. You can use a different berry syrup instead of blackcurrant. Know that the more cordial you add, the sweeter the taste, the darker the color. 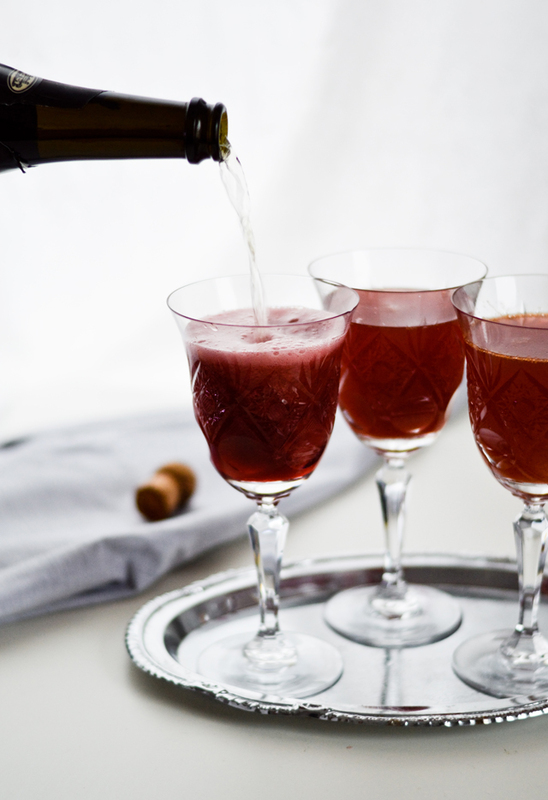 This recipe is inspired by Jaime Oliver’s party-starting Prosecco recipe. Ha, do let me know 🙂 And thanks! !